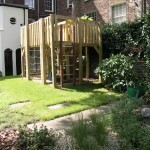 This family garden with an adventure tower also has a rubber play surface and lawn area. 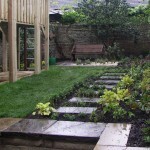 A sunny sitting area and a small area for vegetables are reached by stepping stones through a herb lawn. The garden is in Islington and also has high listed walls and trees which must be protected. 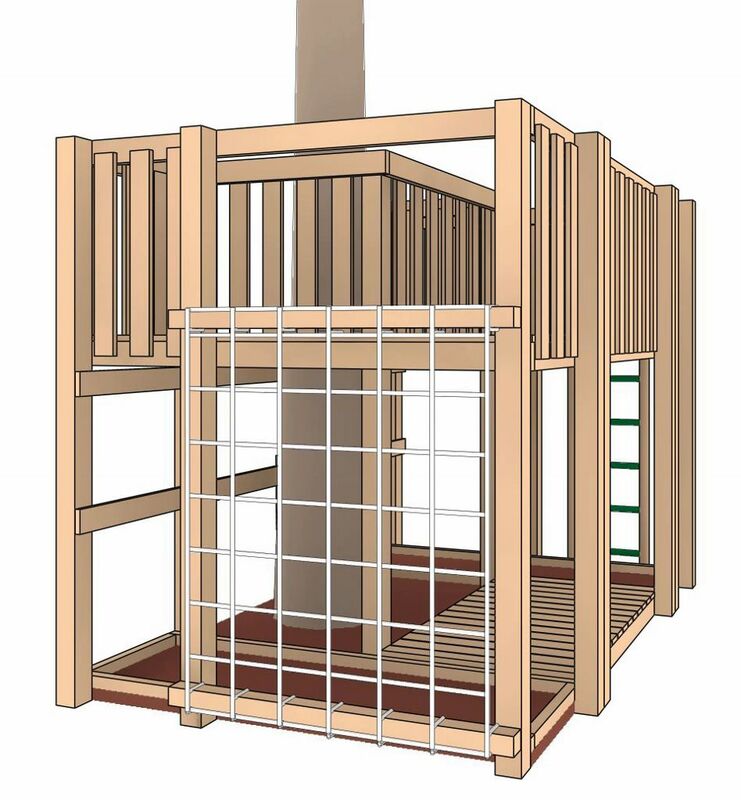 The adventure tower is located around a mature sycamore tree giving it some of the feeling of a tree house. 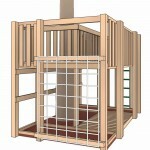 It has two decks, an access ladder and a rope scramble net. 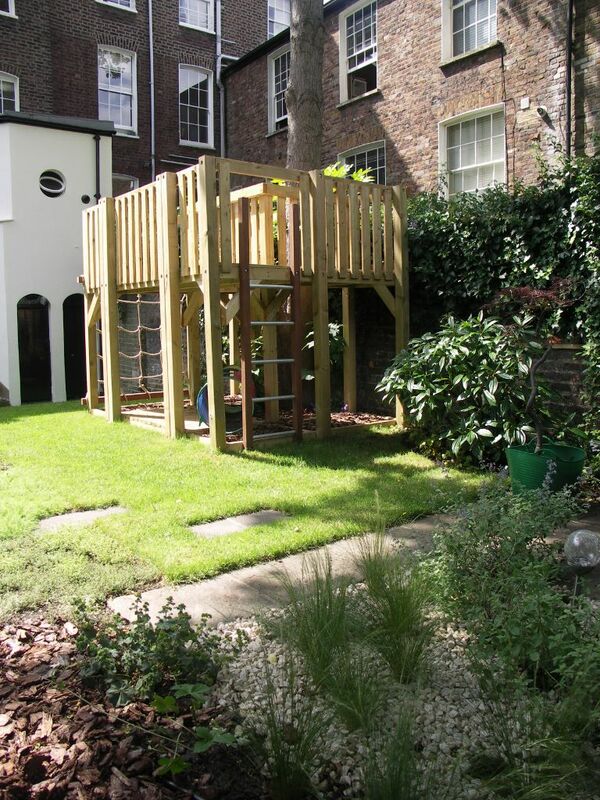 Our bespoke design addressed European safety standards, ease of construction and a pleasing appearance in the garden. Most importantly the children love it! A recycled rubber surface in two colours gives a safe, bright and well-drained play area close to the house. It can be used soon after rain and is easily kept clean. The garden is north-facing and shaded by mature trees so is not the best location for a lawn. We chose a Poa supina grass turf which will tolerate low levels of light, reasonable wear and drought. Herb lawns are also better in sun. We chose low growing plants that like shade at the shady end –alchemilla and mitella, and camomile and thyme at the sunny end. In the middle, we have a small evergreen geranium. It is an experiment to see what grows best and can be adapted as needed. 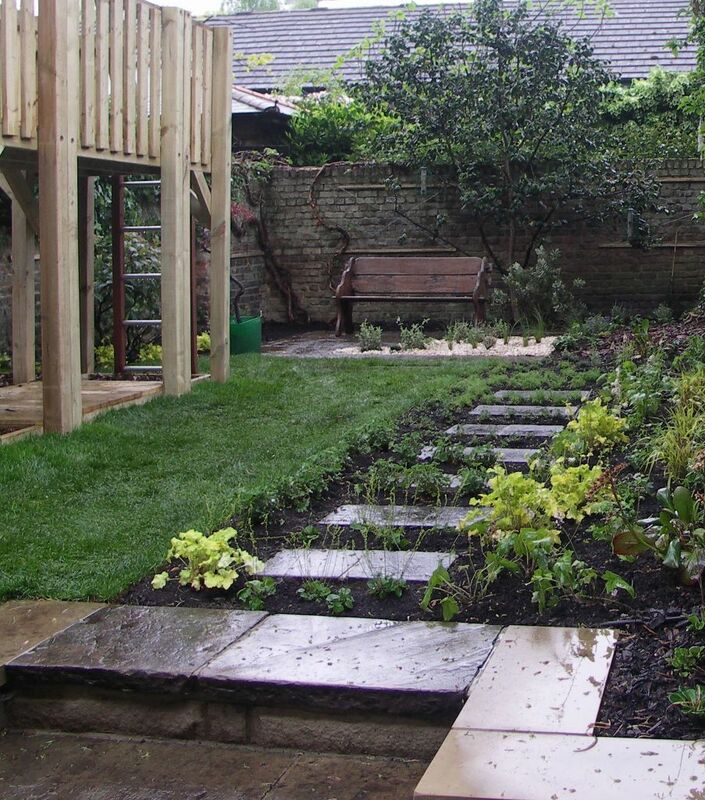 The lawn is crossed by stepping stones from the re-used York stone copings on the previous retaining wall. 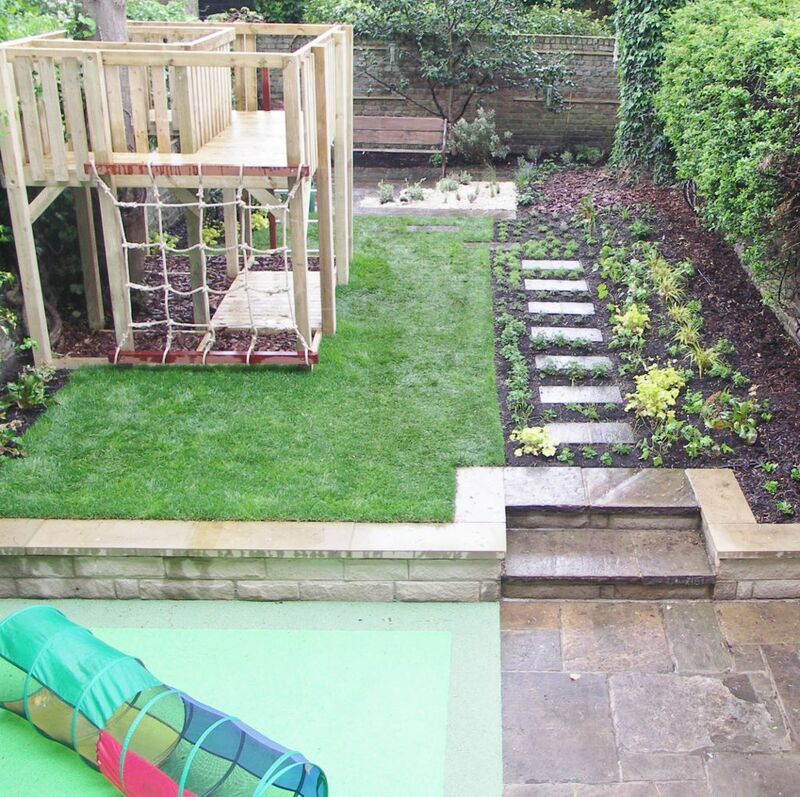 This entry was posted in Family Garden with Adventure Tower and tagged Adventure Tower, bespoke design, camomile, Garden Design, Islington, Leaf & Acre, Listed Walls, North London, Planting Design, Play Surface, Poa supina, Protected Trees, Shady lawn, stepping-stones, thymes, York stone on June 4, 2014 by admin.